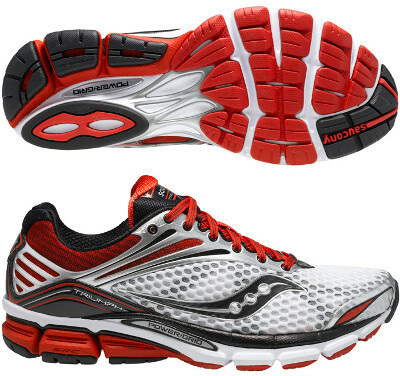 Saucony Triumph 11 are neutral cushioned running shoes. The Saucony Triumph 11 is the premium model from the american brand offering maximum cushioning (even on forefoot) and effective response for neutral users who enjoy high mileage road running. No major changes but few updates from its predecessor the Triumph 10. This version adds more supportive overlays (Sauc-Fit™) in the upper providing a more structured fit and visibility on poor light conditions has been improved with a reflective screen print on the heel. Midsole is enterely made of one PowerGrid™ piece and with SRC Crashpad on top of it, both feature better shock absorption, responsive cushioning and smoother transition. Several grooves have been added for more flexibility and outsole is lighter and more cushioned thanks to iBR+ compound which also provides better grip on wet roads.